The following horses are being offered for your consideration. All horses are reg unless stated. They all have current coggins and current on vaccinations and trimings. Regal Queen ( Queenie ) is a April 11, 2000 foal. Queenie sweet laid back girl. She is in foal to Blueberry Frio for a 09 incentive fund foal. She is not rideable due to injury as a 2 year old. 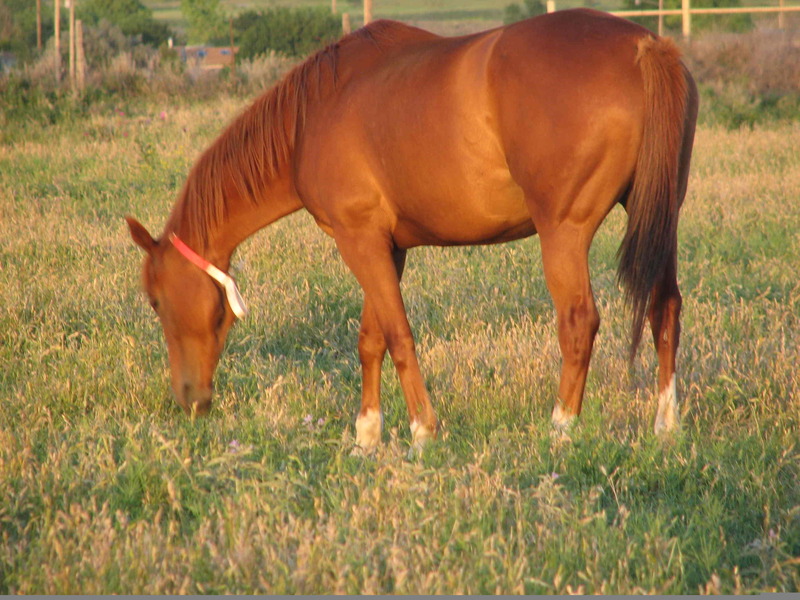 Great broodmare and loves attention. Easy to handle. Loads, lunges, Ties, bathes, clips and stands for a farrier. Asking $1200.00. Magic Marty ( Marty ) is a Feb. 12, 2002 Magic Cat daughter. She is in foal to Blueberry Frio for a 09 incentive foal. She is great addition to any broodmare band. She loads, halters, and stands for farrier. She is greenbroke. She was broke at a 2 year old for the track. Asking $1200.00. 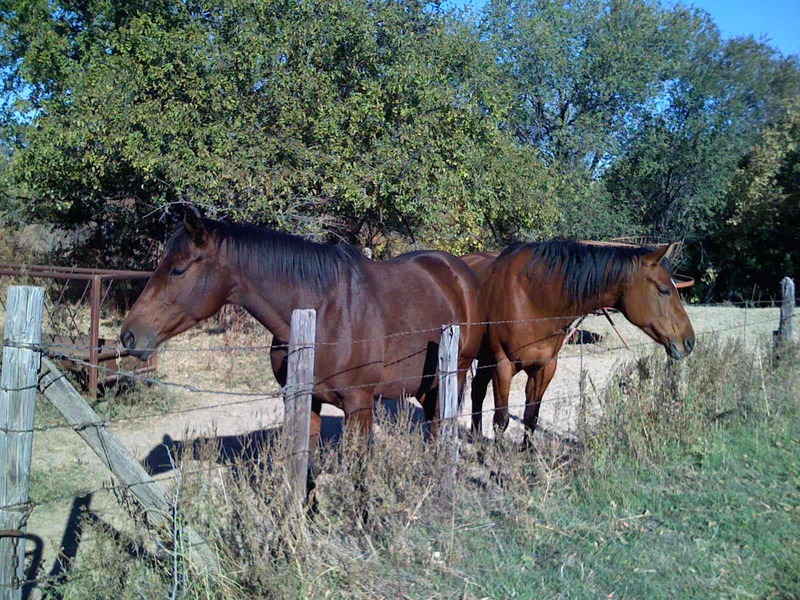 C Highland Breeze ( Breeze ) is a 9 year old chestnut gelding. 14.3 hands with lots of chrome and a show off personality. Sweet nature, dependable, and a beautiful chiseled head great for any halter class. Breeze is quite and a looker. He has had 90 days professional in competitive trail but could go for any discipline. Breeze is a wonderful on the trails, nothing much bothers him. A very sensible guy who gets along with everyone. Asking $3000.00. Email Eileen Berkley at storycrk@twinvalley.net for purchase arrangements and viewing. 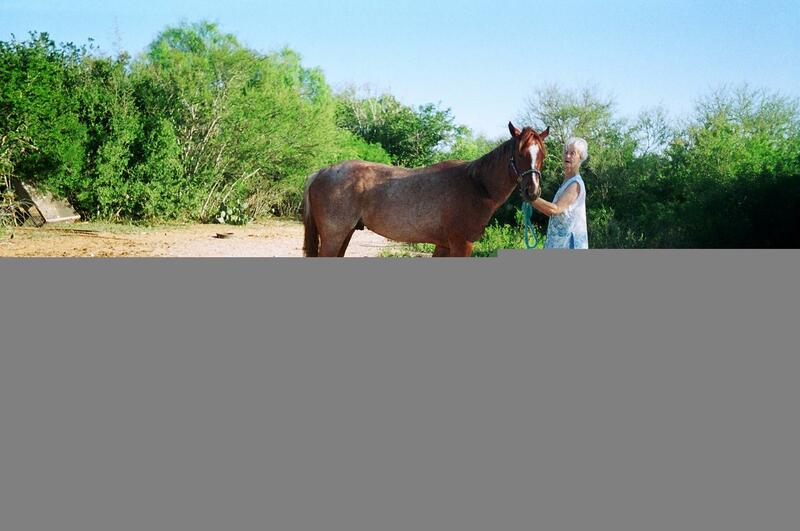 Blueberry Frio ( Frio ) is a Feb 18, 2006 Red Roan Gelding. He is out of Royal Blueberry and Make Mine Fantastic. He is HYPP N/N. 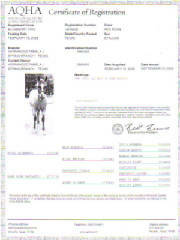 Frio has his Incentive Fund papers with AQHA. Frio has been started under saddle. He will go to a full time trainer in Sept. Asking $3500.00. Mishka is a May 2,2007 reg half Arabian quarter gelding. Brassy chestnut with chrome. Has a great halter head set for show halter. Halter broke and will start saddle training. Needs corrective shoes for front feet due to club foot in right front foot. Sound other wise. $1500.00. Malakai Ma ( Mal ) is a April 28, 2007 reg. 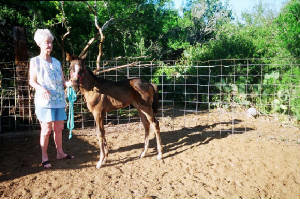 half arabian quarter Yearling gelding. Beautiful bronze chestnut with chrome. Has a great head set for halter. Halter broke and will start training under saddle. Price will be adjusted to accomodate training. Asking $1500.00. 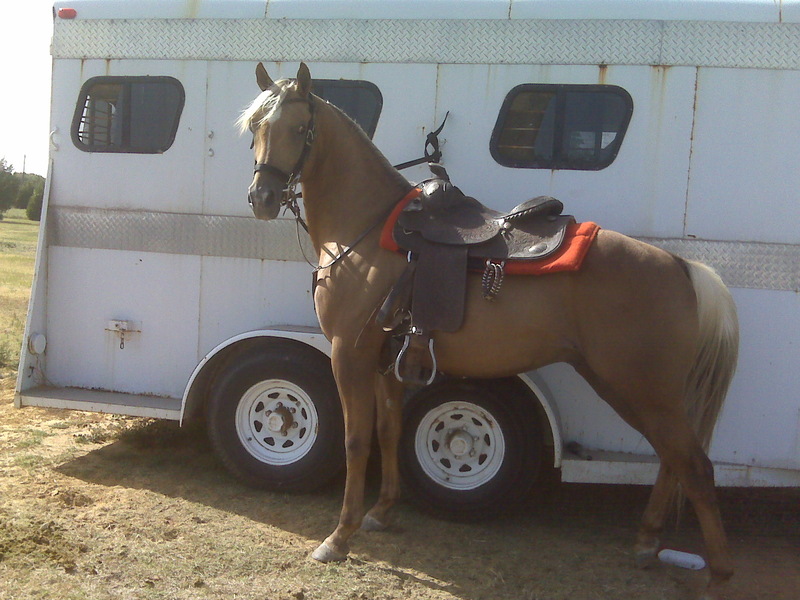 The Golden Spirit MA ( Spirit ) is a 6 year registered Half Arabian stallion. He has sired several nice half arab show prospects. Spirit is under saddle but still needs an experienced handler or mount due to being a young active breeding stallion. 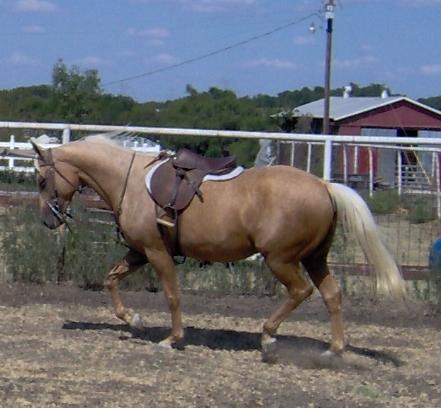 Spirit is a rich palomino color with the flaxen mane and tail. He is a show stopper and will show starting in 09. Purchase him before he starts showing. With wins under his belt the price on him will reflect the show training. Price neg to a show home or color producing breeder. $9500.00. 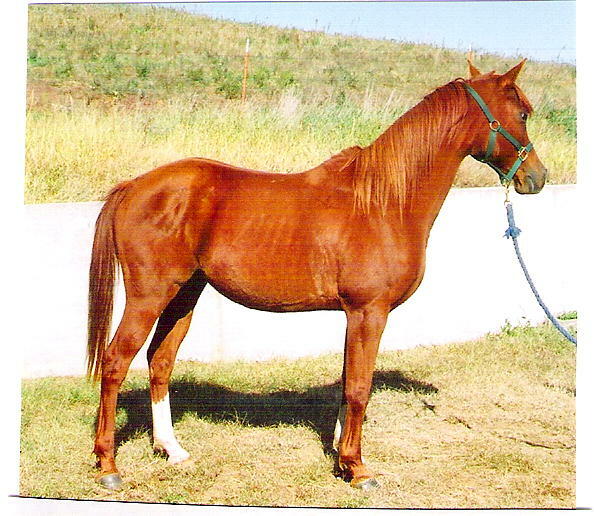 Shezagoldenrainbeau ( Rainey ) is a beautiful trained 7 year old registered half arabian mare. Rainey is ready to begin her show career. She will make an awesome huntseat, english pleasure or dressage mount. Get her now before the show season starts and Rainey gets the blue ribbons. $10,000 to a show home. Dressage Prospect. 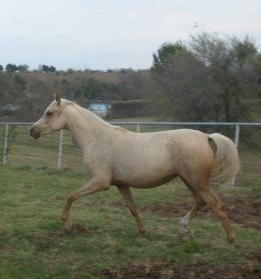 Valencia MA ( Valencia ) is a beautiful yearling year old palomino 3/4 Arabian filly. She has a gorgeous baby doll head. 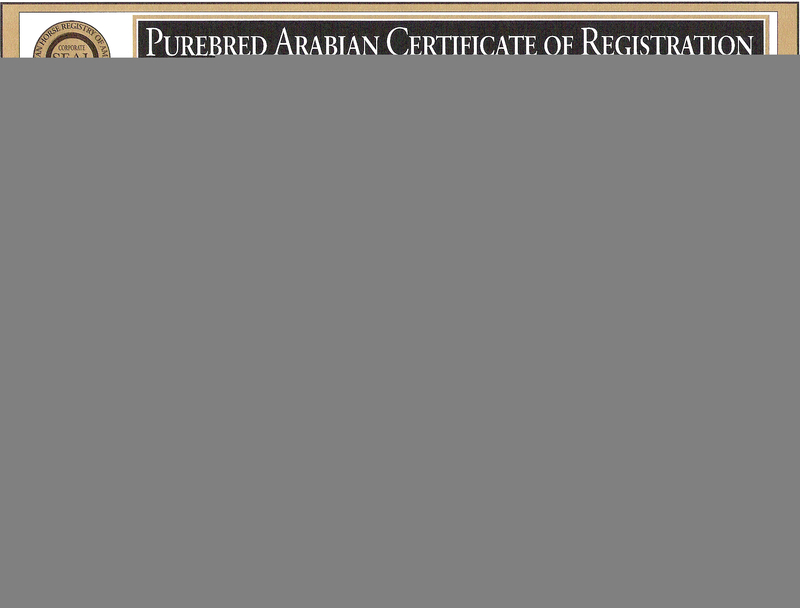 Has the coloring and confirmation to match the head for that perfect half arab haltered horse. Registered. Has the Show Me attitude. Price for a show home. $4500.00. Catch her now before she beats you in the show ring. Ashton Ma ( Ashton ) is a stunning yearling 3/4 arabian gelding. Registration pending. Great show and performance prospect. Get him before I get him in training for the show ring. $5000.00 to a show home. Pics coming. MGM April Cool Winds ( Dreamie ) is a April 2008 Appendix filly. She is incentive fund nominated. Dreamie will make a great barrel prospect. She loves to run. Black in color with blaze. Dreamie can lunge, ties, stands for farrier, vet, and loads. She likes bathes and to be groomed has been clipped. $4500.00. 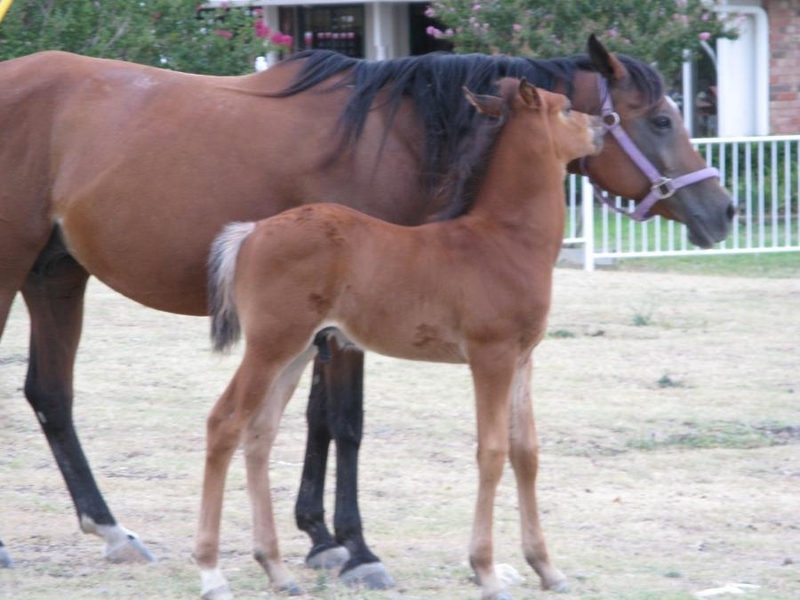 Cobie Ma is a reg pending Half Arabian stud colt. He is a 2008 baby. 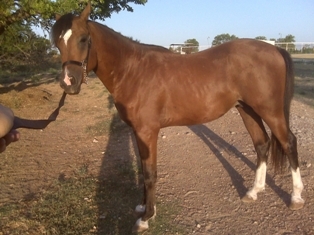 He will be ready to go in Oct. Purchase him now at a low price for a halter horse next show season. Price will reflect after weaning. $2000.00. Toi's Armani MA ( Armani ) is a May 12, 2006 Bay Arabian stud with chrome. 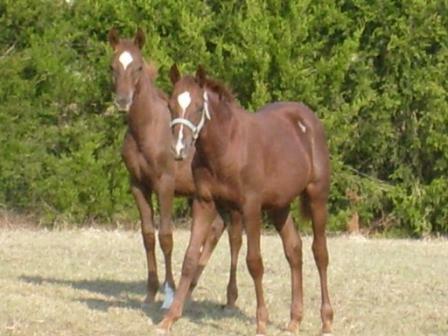 Great halter prospect. Very laid back around mares and in public. Carries that look at me desposition. $4500.00.